Many owners prefer having drop-in ranges because it integrates seamlessly with the kitchen’s cabinetry. It appears as though the range is part of the countertop and the cabinets itself, giving it a more refined and elegant look. It also doesn’t rest on the floor, making it look like it has been “dropped” into the spot. Drop-in ranges don’t really differ much when it comes to purchasing a normal freestanding or slide-in gas range. Their properties are almost the same because all of them work exactly like the other. What makes drop-in ranges different is its fixture into the kitchen counters. What to look for in a drop-in range? What is the difference between a drop-in and a slide-in range? Depending on the type of drop-in range you pick, it may cost a little bit more than the freestanding one so it is good if you can pause and take a look at your options, as well as have insight on how to buy the best drop-in ranges. This way, you will get the most out of your budget. There are several factors that may affect your purchase of a drop-in range. It is great to be armed with this knowledge before making a big purchase. After all, ranges don’t come cheap. There are two types of fuel that you can choose to power your range. Choose from gas or electric. Both fuel has its own pros and cons but the most notable one that many people choose is the good old gas range. This is because most states in the United States have cheaper gas utility bills than electric bills. Gas is also easier to connect especially if you already have an existing gas line. However, if you were an electric range user and want to shift to gas, you need to have your kitchen hooked up with gas connectors. To do this, contact the gas company and a contractor will come to your home to install the gas line before connecting the range to it. The reason why many people choose gas aside from the cheaper bills is that it provides more precise control for heat, which improves the cooking ability. 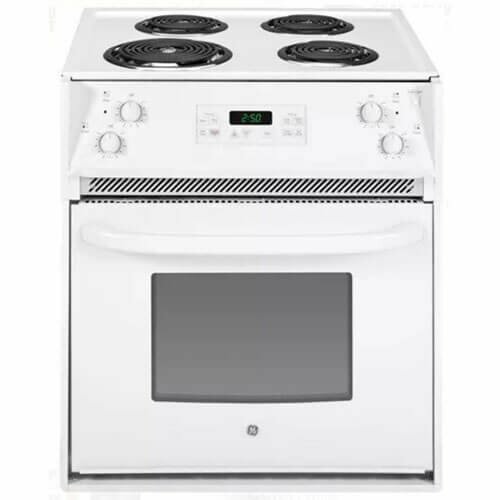 Although the coil of electric ranges is great because it doesn’t produce fire that may accidentally cause kitchen fires, the distribution of heat in the coil is somewhat unstable. 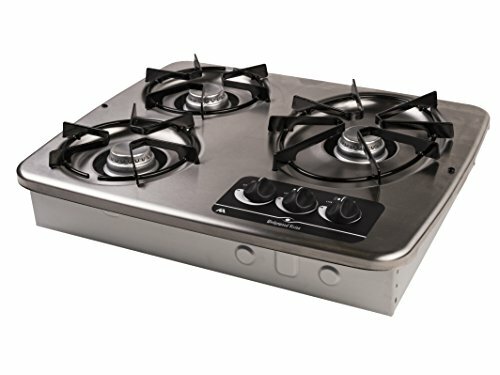 Depending on your cooking needs, you may want something that has four to five burners to make cooking several dishes faster. This is great if you cook a lot of batches at once, or your family is used to having different kinds of dishes on the table during dinnertime. It is also helpful for cooking a lot if you like having parties at home every now and then. Most ranges come in four burners but you can instill variety in your mind while picking. For instance, you can have two gas burners and two electric coil burners. This way, you hit two birds in one stone: Have burners connected to the gas line, and have burners that can be plugged. During emergency situations, you’ll have options. You can also pick a drop-in range that has an oven or two. One large oven is great if you cook big chunks of meat or whole turkeys and chicken. Two smaller ovens are good if you use it sparingly and bake only a few pieces of food at a time. When choosing the best drop-in range, make sure to measure you’re the spot where you are planning to place it to ensure that it fits snuggly. Most ranges are measured between 30 inches to 36 inches wide. 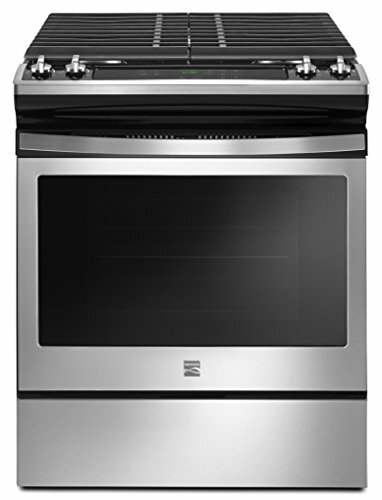 You will want to get the dimensions of your kitchen and take it with you when you shop for the perfect gas range. A slide-in and drop-in cooking range have very minimal differences. They only actually differ in terms of the installation. A slide-in cooking range has contoured sides and a slightly protruding cooktop that allows it to be slid in between the counters/cabinets so the cooktop rests on the top of each counters. Drop-in ranges meanwhile, require customized cabinetry and are dropped into the prepared space. It rests on top of a cabinet. The side panels, like the slide-in range, are not finished because it is meant to be sandwiched between two cabinets. In terms of costs, the drop-in range is costly to install because it requires exact measurements on the sides and a platform at the bottom. The best drop-in ranges offer a seamless integration in your kitchen and looks as if the entire spot is customized. It is a great addition to your kitchen, especially if you are aiming an elegant look where every appliance in your kitchen is connected together by creative cabinetry. It looks more elegant and refined. However, this type of range has its drawbacks, such as the cost of constructing it. It requires a prepared space with a cabinet at the bottom that will serve as a platform. Installing it is quite difficult and costly compared to slide-in and freestanding ranges. The end result and overall look is great though.